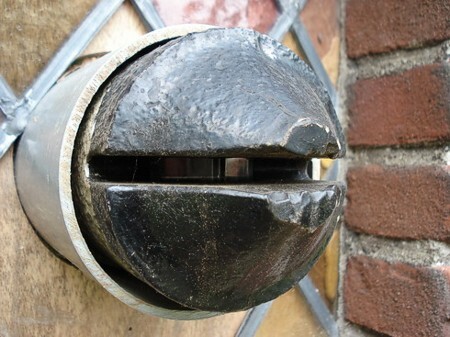 A Winkelfernrohr was mounted with a special armoured part. 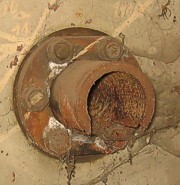 The cupola or the plate has a drilled hole. In this spacw a heavy armoured pipe was placed. On the outside it has the shape of a birds bill. In German this was called a "Schnabel". This protected the head with the rotatable prism from incoming fire. At the inside a clamp, with a spacer, holds the optic firm in place. The backend of the Pz.B.W.F has sliding surfaces and a rubber strip for better fitting. The supporting rings on the optic have a rubber seal to prevent gas coming inside. 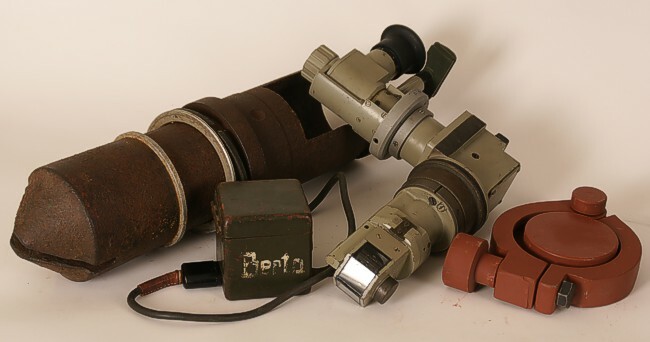 This photo shows the complete set for the Busch system. The Schnabel mounted in a cupola, seen from the outside. The armoured part seen from inside. The prism is visible in this demonstration setup. 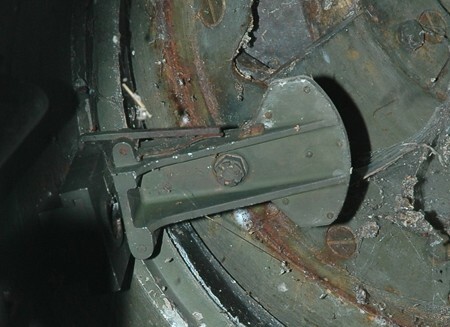 This clamp fiits on the rim on the inside of the armoured part and fixes the optic. 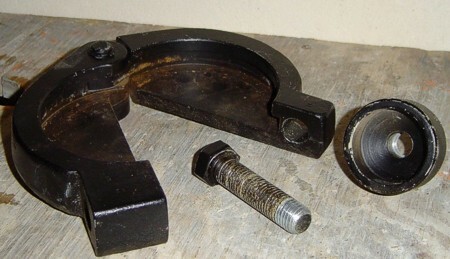 This is the mounting for the tiny P.B.W.F.5 in a "Kleinstglocke".